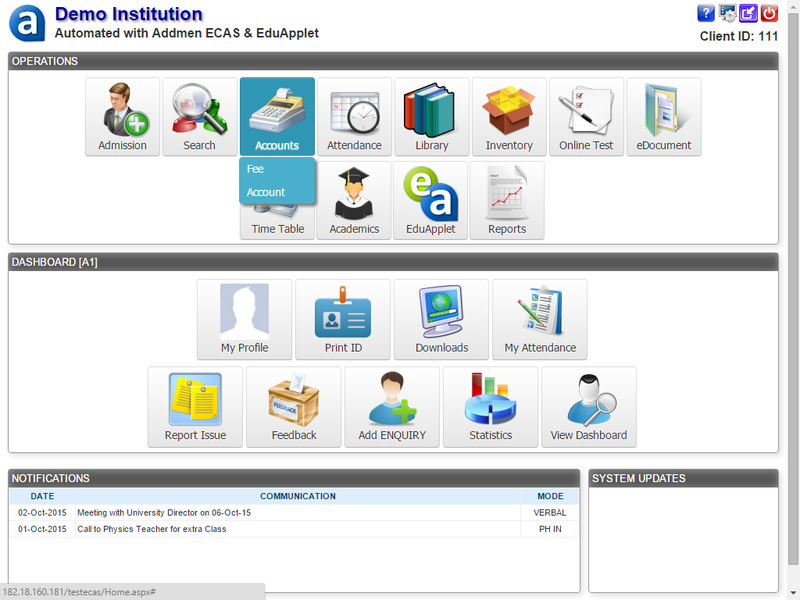 ECAS (Enhanced Campus Automation System) is a complete suite of applications that permits you to automate all aspects of a school administration. 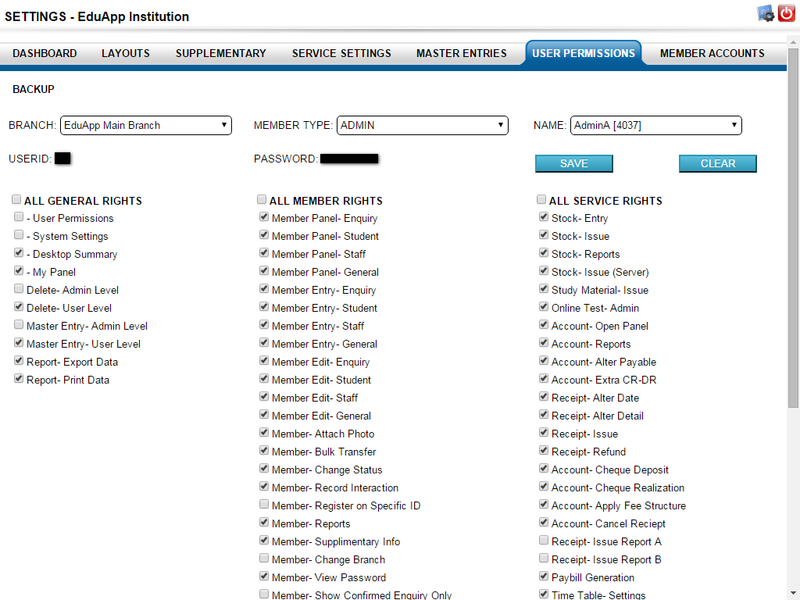 It is completely client-customizable especially when it comes to school fee management module. Because every school has different facilities and accordingly different fee is applicable. Similarly, every school has different set of policies regarding the accounts section and different operations in fee management. An online school management software like ECAS can help schools build a very organized fee management system. We will look at some of the features offered by ECAS. School fees are subdivided into different fee heads like admission fee, tuition fee, examination fee, library fee, caution money, enrolment fee, etc. and it varies according to services provided by schools. ECAS has given complete freedom to create your own fee structure and fee plans. Fee plans can be created in the system which can be manually applied to individual students or in groups. It includes advance payments like annual fee or instalment plans like monthly or quarterly payments. Fines and rebate amount can be billed if applicable. The system also automatically applies fine for late fees when a student fails to make payments on time. For every payment, fee bill can be generated from the system to authenticate a transaction. You can create your own fee receipt and invoice design by putting the school name and logo, time stamps and digital signatures. Similarly, bills for vouchers, individual ledger, cancellation, refund, cheque statement, etc can also be generated from the software interface. 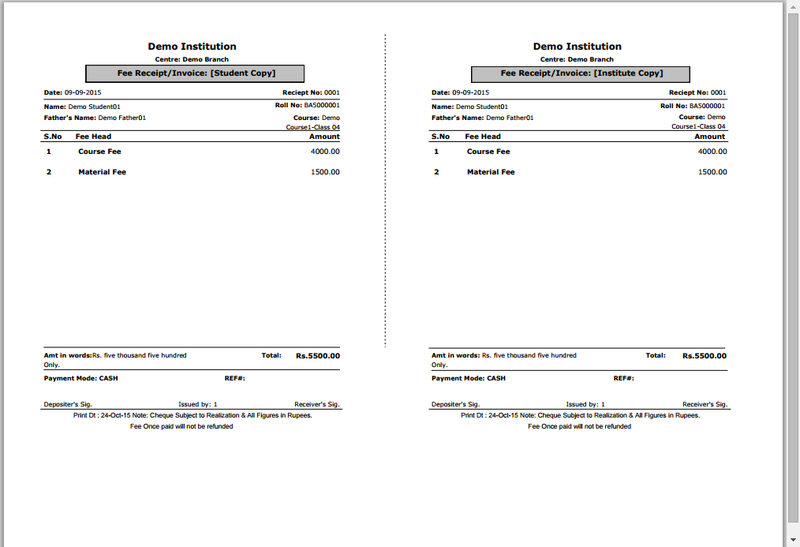 Multiple copies of fee receipts and invoice can be generated specific to school copy and student copy. Financial reports of the school can be obtained for the month, year or between specific dates. ECAS offers filters and dynamic sub-filters to customize the generated reports based on payment status, amount, balance, mode of payment, of individual or group of students, etc. 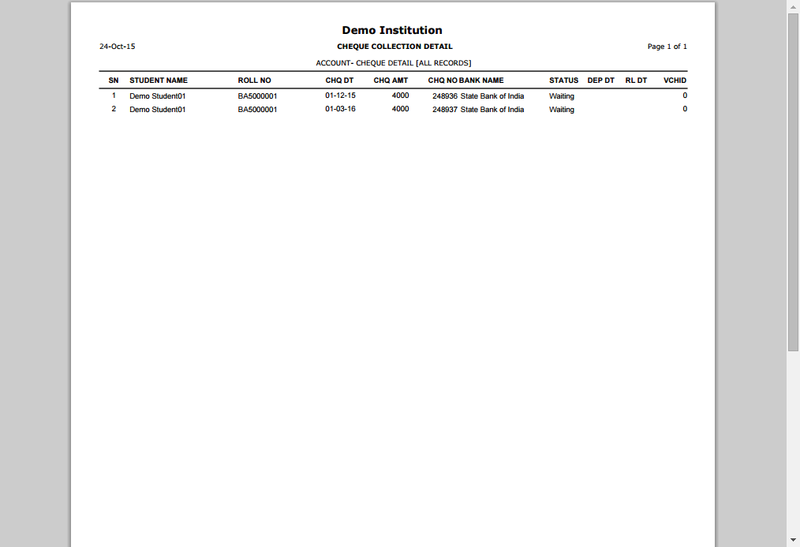 You can also obtain a separate defaulters list of students from this module. Accounts statement of students in the entire school can be generated class-wise, date-wise, year-wise, etc. All these reports can be viewed, exported to Excel, CSV file and printed in several formats. ECAS can maintain multiple accounts whose access can be restricted to only users with access rights and permissions. Account entries in the database cannot be tampered or altered as the system doesn’t allow the operator to change records of sensitive information regarding school’s finances. Parents can login to the student dashboard to make only payments for their children through integrated payment gateways. Auto-generated bulk SMSs alerts can be sent for reminding late fees, fine or rebates. You can also maintain separate accounts for hostel fees, transport fees, mess fees, etc. All these versatile features can rarely be found in one school management software. The fee management module along with other integrated modules makes ECAS the best school management software in IT solutions industry.